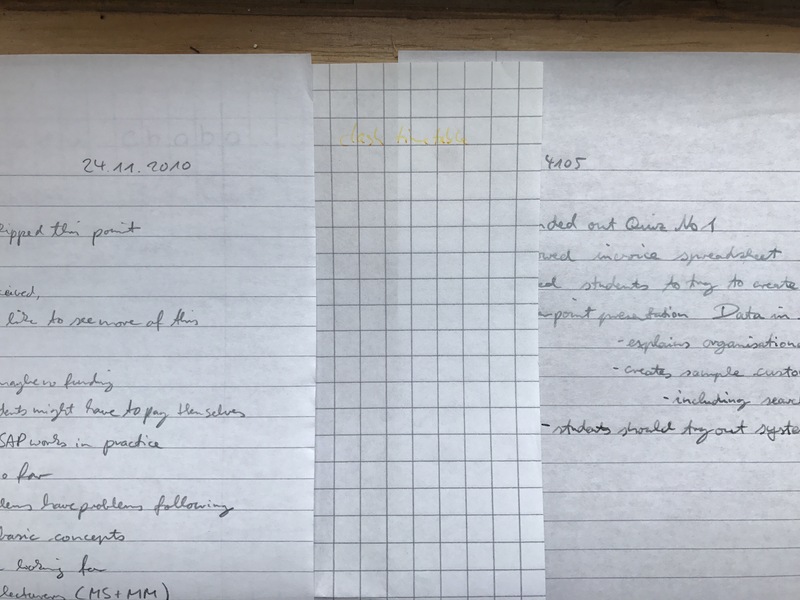 I was just getting rid of some old documents from my office when I came across three sheets of paper I had written on in 2010 – one with pencil, one with rollerball and one with fountain pen. All three documents were not exposed to direct sunlight. The squared paper in the middle shows the rollerball. I am not sure which rollerball this was, but seven years later the text is hardly legible. The once red rollerball is now just a light shade of yellow. 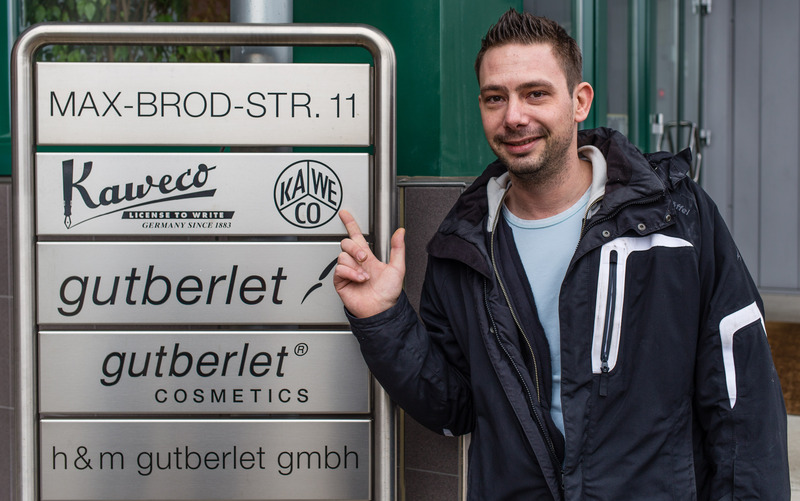 On the right you see the writing from the fountain pen. I am not sure which ink was used, but the writing is much lighter than any ink I would have used at the time. I assume this must be either because of the ink’s properties or the paper or both. The fading can’t just be down to age. I have school notebooks from the early 1980s (ink: Pelikan Royal Blue) that still look great. 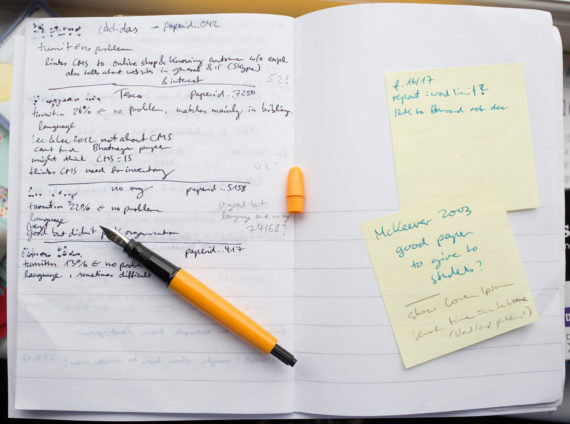 On the left you see text written with a pencil. Still as good as on the first day. OK, graphite isn’t darker than black ink, but look how light the ink has gotten in seven years. Maybe in another seven it will be hardly legible while the graphite will still stay dark. There seem to be a few suspicious sellers on Amazon Marketplace. Well, I say they are suspicious, but I prefer to tell you what’s going on so that you can judge for yourself. 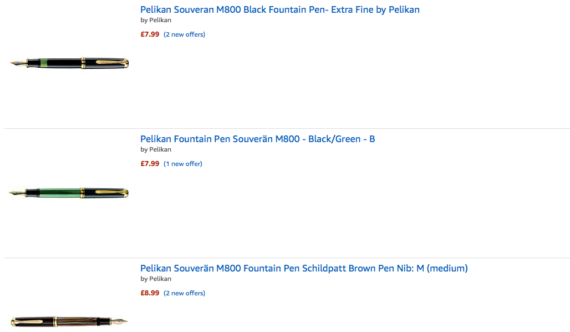 There are several accounts on Amazon Marketplace selling fountain pens for £7.99, £8.99 and £9.99, but even pens usually selling for several hundreds of Pounds are being offered for under £10. Some of these sellers have real names, some just have random letters as their seller name. All of them seem to be registered in the USA. I wrote ‘seem’ because I don’t know whether Amazon will actually check the address used by sellers who register. Why would they sell these pens so cheap, far cheaper than what they’d have to pay from the manufacturer? ..and especially when Amazon offers their “A to Z Guarantee”, which means that if there is a problem the customer won’t be out of pocket (and Amazon will probably chase the seller to get their money back…). I rule out that this is just a simple mistake form the sellers. 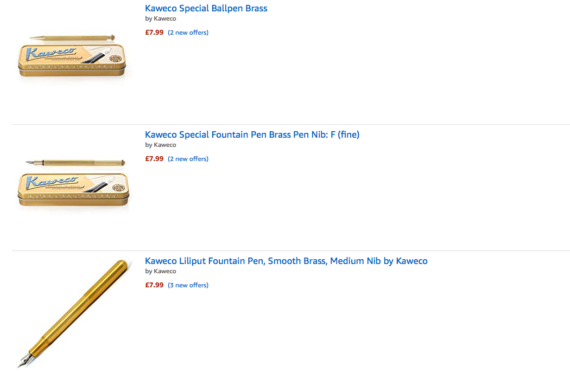 All these pens are sold by new sellers on Amazon Marketplace and they put a lot of them online. One wrongly priced pen might be a mistake, but not if all you offer is under £10. Explanation a) Maybe it’s a bored millionaire who just wants to make people happy by reselling pens with a colossal loss. Explanation c) When you pay they get the money from Amazon and keep it for a while. Delivery times are very long (many weeks), so they have many weeks before the customers can complain that the product didn’t arrive (and then the postal service can be blamed), so it will be a long time before they have to return the money. Time they could use to get interest on the money or time to pack it all up and disappear. Well, the good thing is that if anyone wants to try these sellers out and my suspicion that this is dodgy is right the customers are only out of money for a few weeks – until Amazon reimbursed them, so the risk for customers seems small. Update: shortly after posting this I have been told that Scribble has discussed this issue a few days ago in Facebook’s Fountain Pens UK group. Thanks Mark Porter, for letting me know.